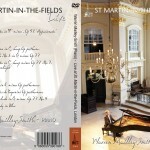 This ‘recital’ disc is a digital re-release of Warren Mailley-Smith’s debut album, first released in 2005. 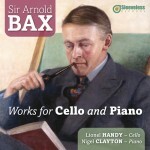 The CD offers an attractive selection of romantic works for the piano and includes one of the only recordings in existence of York Bowen’s magnificent Sonata in B flat, Op 160. As a young classical musician, you usually have two options for your debut record: You can either perform a selection of acknowledged standards, showcasing your talents in direct comparison to your colleagues. Or you can opt for more experimental material, positioning yourself in a niche of your own. Violinist Baiba Skride resolved the dilemma by releasing two complementary albums of different styles at the same time. 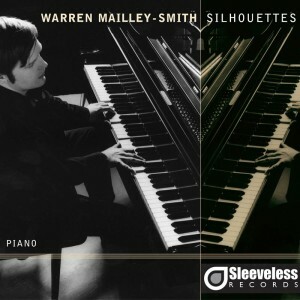 Pianist Warren-Mailley Smith now pulls off the same stunt on a single disc. Effectively, “Silhouettes” unites two programs, each one with a distinct flavour. First, there are nine classics, ranging from Prokofiev’s “Romeo & Juliet” to Liszt’s “Hungarian Rhapsody” and including some of the most popular cuts from the romantic repertoire. 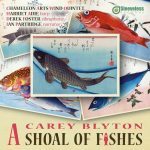 Then, it dives into the depths of York Bowen’s “Sonata in Bb”, a seldomly performed work by a still all but forgotten composer of the mid-20th century. It is remarkable enough in itself that these pieces can stand side by side without intruding upon each other and therefore testimony to Mailley-Smith’s fine sense of programming – certainly a feature of essential importance for any instrumentalist next to his technical abilities. He also approaches both parts with equal self-confidence, never intimidated by the standing and interpretational history of the classics and free from doubts when faced with the relatively clean slate of an exotic composition. A self-assured stance is a prominent feature of his style in every regard. These renditions have a sense of absoluteness to them, of grandeur and of majesty. Mailley-Smith seems to be a player who enjoys the splendour of music, who loves presenting emotions like a gushing stream running wildly and passionately, but in complete control. All the same, he has a touch for subtle timbral shadings and fluent tempi, presenting Mendelssohn’s “Song without Words No. 1” with both its soft flow and call-and-response dialogues, with its calm and inner unrest, with its hymnic character and initimacies. The same holds true for the Bowen Sonata. Here, the complexities of the opening movement are effortlessly counterpointed by the quiet romance of the “Intermezzo” and the energy and leisure of the “Finale alla toccata”. It is a stylistically torn work, which suddenly appears cohesive and of a piece at the hands of Mailley-Smith. And it is positively contagious to listen to him indulge in the angular rhythms of the catchy “Etude on I got Rhythm” arranged by Earl Wild. There’s a downside to everything and a piece like the “Grand Valse Op 42” can hardly be played fast enough in my opinion. Here, Mailley-Smith’s desire for control and clarity may work slightly against him, even though this of course remains a question of taste. His “Berceuse Op 57”, meanwhile is almost too dreamy – and with all likelihood exactly the way Chopin would have wanted it. The transition from that track to Bowen is one of the obvious highlights of “Silhouettes” and seamlessly segues the two different sides of the album. 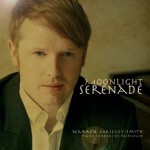 It also demonstrates that Warren Mailley-Smith need not shy away from the “big repertoire” – but that his search for underappreciated compositions is a fruitful one, bound to further bring his own voice to the fore in the foeseable future.